We are so excited you are interested in joining a class. Please don't hesitate to call us if you have any questions. I am the parent or legal guardian of the athlete named above. My child has my full consent to participate in any Athletes Plus program. I am aware that in cheerleading, dance, and tumbling, as in any sport involving height and motion, the possibility of serious and catastrophic injury is present. 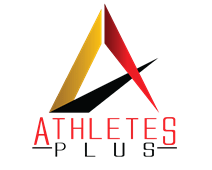 On behalf of my child, I voluntarily assume all risks of loss or injury that my child may sustain from participation in the Athletes Plus programs. In consideration of my child being permitted to participate in the Athletes Plus programs, I release and discharge Athletes Plus and/or its owners, officer, directors, employees, agents, and personnel from any and all liability for any damage or injury which results from or arises out of my child's participation in the Athletes Plus programs, I also agree to waive all claims that I or my child may have against Athletes Plus and/or its owners, officer, directors, employees, agents, and personnel which results from or arises out of my; child's participation in the Athletes Plus programs. I further agree to indemnify and hold harmless Athletes Plus, and/or its owners, officers, directors, employees, agents, and personnel from and against any and all demands, claims, costs (including attorney's fees), and causes of action arising, directly or indirectly, from my child's participation in the Athletes Plus programs, including those liabilities which arise from the negligent acts and/or omission of Athletes Plus, it's owners, officers, directors, employees and personnel to treat all injuries occurring on the premises. I give my permission for my child's picture to be used on our website or brochures. I have carefully read this release and authorization, I fully understand its contents, and I am signing this on my own free will.